This article is about the problem of identifying and clarifying client requirements. 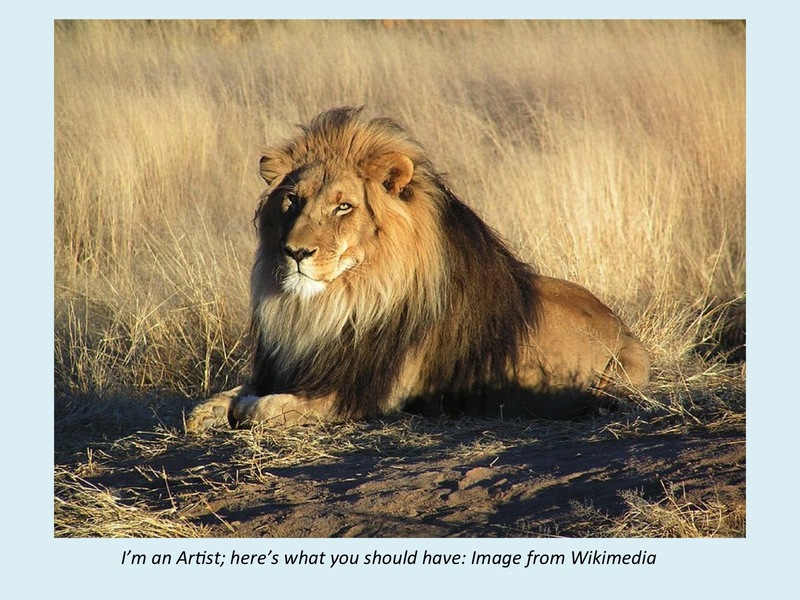 It uses the humorous example of a client’s requirement for an image of an elephant, and follows on from the two previous posts about ways of getting the requirement wrong. 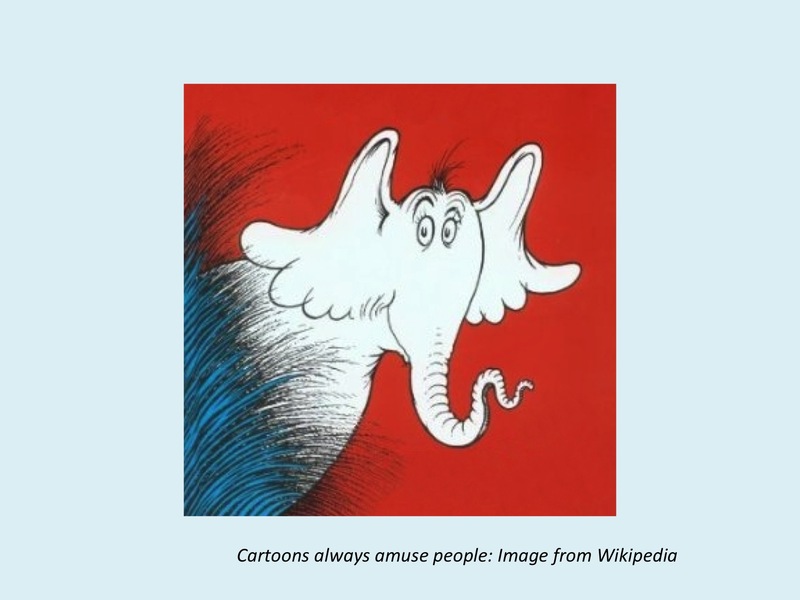 The next article in this series will be about ways of getting the requirements right, but for the time being, we’ll continue with examples of wrongness above and beyond the call of duty, starting with a forgotten icon from history, in the form of cartoon character Horton the Elephant. Bad solution 7: Cartoons always amuse people. The limitations of this solution are similar to those of the “witty dialogue with the environment” solution and of the “here’s some clip-art” solution; I won’t dwell on those. What’s more interesting to me is why cartoons are so popular. They’re a simplified, exaggerated model of reality, and the core of how they work is fairly simple. There’s caricature-drawing software that does a good job of producing caricatures from photos by comparing the photo to a schema of a typical face, and then exaggerating the differences between the photo and the typical face. Cartoons draw on similarly simple underlying processes, such as exaggeratedly child-like proportions. Although people like the familiar and the average, they tend to like the non-average more, in a fairly predictable way. Typically, people prefer faces, features and items that are between one and two standard deviations from the average in statistical terms – for instance, tall people tend to be viewed as more attractive, provided that they’re not too tall (as defined by that statistical percentage). This applies to preferences for a broad range of consumer products, and it can lead to a gradual creep in the norm until some inherent limit is hit (for instance, phone keys getting smaller until they hit the limit set by finger size). This is a separate mechanism from simple competitiveness, but it can easily combine with competitiveness as a further motivating force for fashion wars. Bad solution 8: I’m an artist; I know better than you; here’s what you should have. Client’s response: I’m a client; here’s what you should have, if we were in Texas. There’s a well-worn trope about designers viewing a commission as an excuse to create the work of art that’s been on their personal wish-list for years, and another about architects viewing the building that they’re designing as just an enormous sculpture, with humans involved only as an awestruck audience or as indicators of scale. A problem with the “design as pure art” view is that it tends to ignore design rationale. Clients often have important reasons for wanting a particular feature in a design; ironically, the most important ones are also usually among the easiest ones to miss, because of Taken For Granted Knowledge. This concept comes from Grice’s work on communication. He pointed out that we don’t say anything that we can reasonably assume our audience to know already – for instance, we don’t bother to mention that our aunt is a woman, because we can reasonably assume that the audience will know that aunts are women. However, people who have been working in a particular field for years tend to be surrounded by other people who share the same specialist knowledge as themselves, and so they mis-judge which knowledge they can safely take for granted in a designer, leading to them omitting to mention the most important requirements. 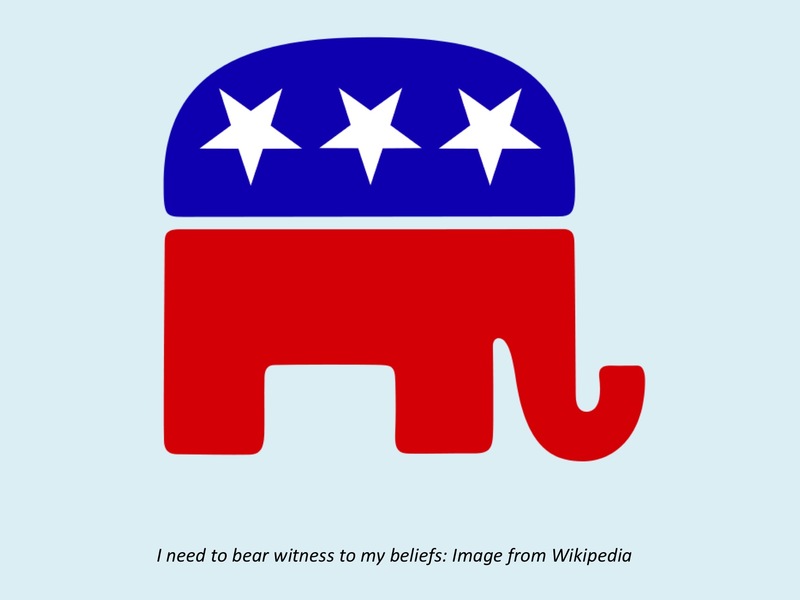 Bad solution 9: I need to bear witness to my beliefs. Client’s response: So do I, and I sincerely believe you need to be fired. This topic is the source of much well-informed debate over on Freethought Blogs and numerous politics-related and religion-related sites, so I won’t discuss it here, for much the same reasons that I didn’t try to headbutt the wasp nest that appeared on our garden shed one summer. You are entitled to have beliefs, but the client and the law might have opinions about the right times and places to express them. Instead, I’ll tactfully change the subject to laddering. This can be invaluable for finding out about clients’ beliefs, though it obviously needs to be done with sensitivity as regards potential ethical issues. When you ladder up from even the most mundane choices, such as whether to drink coffee out of a cup or a mug, you very rapidly get into core values and beliefs. In one study, we found that most respondents preferred the same product, but for two separate sets of reasons. One set related to expressive behaviour (covered in a previous article here) – the respondents preferred the product because it was a fashion statement. The other set related to instrumental behaviour – the product provided the respondents with more functionality. These two sets of values had very different implications in terms of marketing and design. This is particularly useful when the client wants to make some sort of statement in the finished article; laddering can help clarify what the client wants to say, and can also help clarify which design features will be perceived by the client as sending the desired signal. There’s a chapter about the mathematics of desire in Blind Spot; there’s also a fair amount about handedness and symmetry. The elephant images above are from Wikipedia and wikimedia. This entry was posted in design, elicitation, requirements, software development and tagged architecture, Symmetry by hydeandrugg. Bookmark the permalink.